Our patients often notice an immediate glow and refreshed look to their skin after only one treatment! While a slight redness will sometimes occur in the treatment area itself, this will usually last no more than 2 days. TGIF- This quick recovery time provides you a great opportunity to start your weekend early on a Friday afternoon! But be advised, many of our patients report complete healing after only 24 hours. Results will typically become more evident within a just few days and over the next few weeks which follow the initial treatment. This ongoing improvement can continue for up to 6 months after the treatment. Our patients on average receive 6 to 8 treatments to enhance or correct minor issues with their skin. However, some patients need up to an additional four (4) sessions depending on the damage level of their skin. 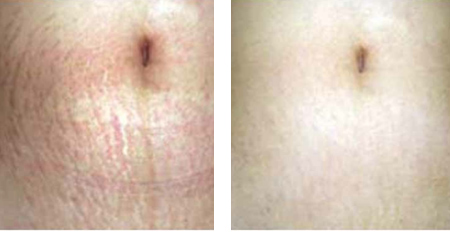 Cases with deep scarring or wrinkles are more likely to need these additional sessions Treatments are recommended to be spaced 4 to 5 weeks apart. MicroGlide GF™ is the latest addition to the Eclipse MicroPen™ procedure. 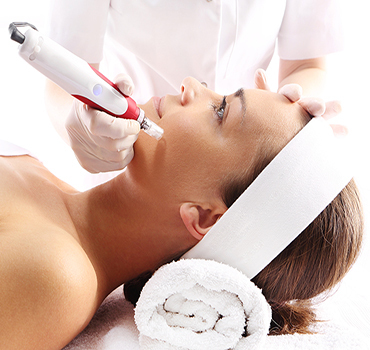 It is specifically designed for use during micro-needling to aid in the lubrication and enhancement of the skin. MicroGlide GF™ can also be used in conjunction with other applications, including, microdermabrasion, or, chemical peels. It uses mesenchymal stem cell factor (GF) to optimize the skin’s response to the Eclipse MicroPen™ procedure. To produce Stem Growth Factors, special types of mesenchymal stem cells are cultured bio-signals produced.The benefits of GF are recognized for promoting skin cell proliferation and neocollagenesis. This procedure contributes to rapidly producing collagen and elastin for a more overall youthful appearance. What Are Growth Factors aka Cytokines?